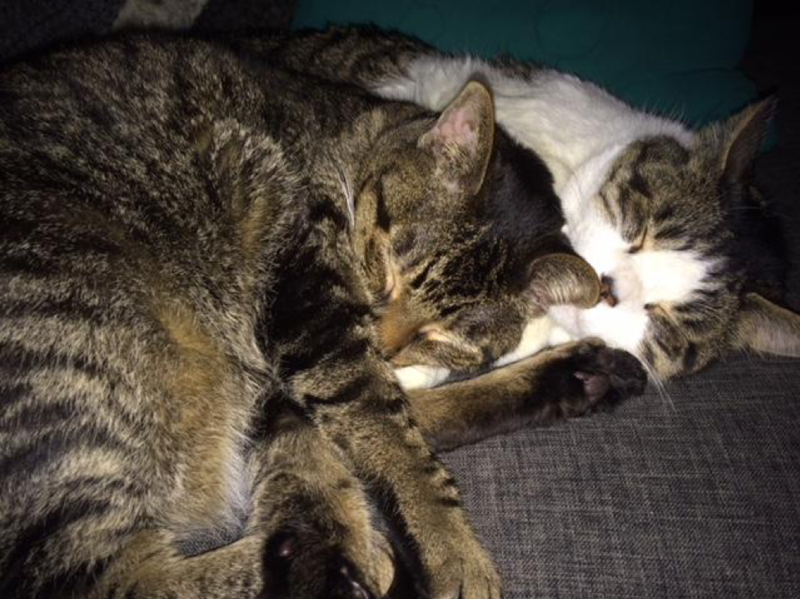 Origin story: Dr. Ciszek and Randall adopted these two litter mates in the spring of 2005 from The Humane Society. Bunny, the one with white markings, reached out and swatted at Dr. Ciszek as he walked past the cages and Dr. Ciszek thought immediately, “oh, you are trouble!” They got their names from Randall, who kept saying to them, “You are cute as a bunny and you are nothing more than a little bit!” Both were lover cats, but Little Bit was always the first to try something new or figure out a solution to a problem (like how to get a treat.) Sadly, we lost Little Bit a couple of years ago due to complications from surgery. Now, Bunny shares (read that as “tolerates sharing, barely”) his home with his dog sisters, Porsche and Misty.